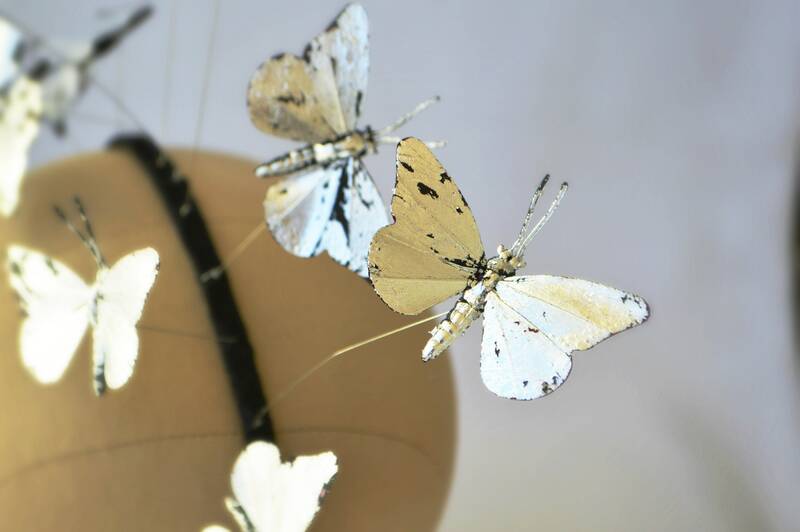 MIDNIGHT SILVER LEAF Feather Butterfly headband. 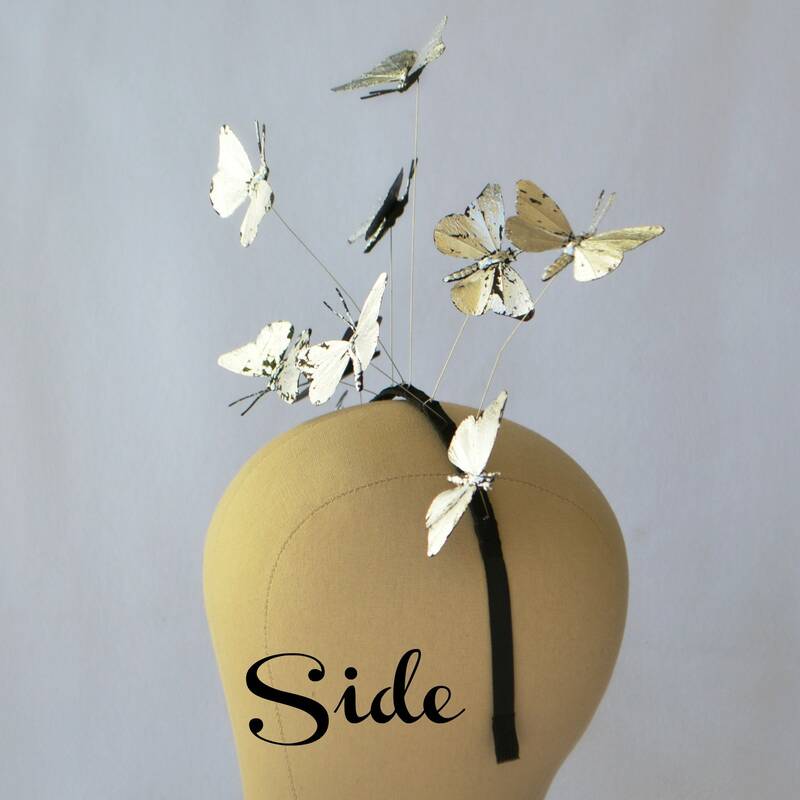 I wanted to make a butterfly piece but with a glamourous evening look to it - this time in silver leaf! I distressed the silver leaf so that it would have a two tone look. 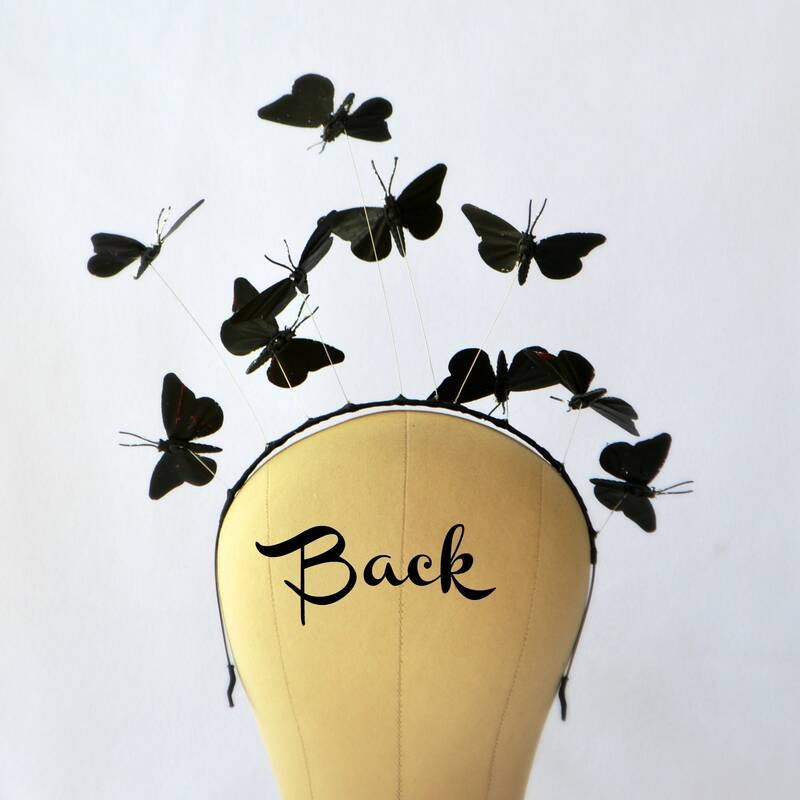 The butterflies bob about gently as you move in it and looks really enchanting. I painted the backs black as I thought they looked like cool shadows but if you prefer I can make them silver both sides. 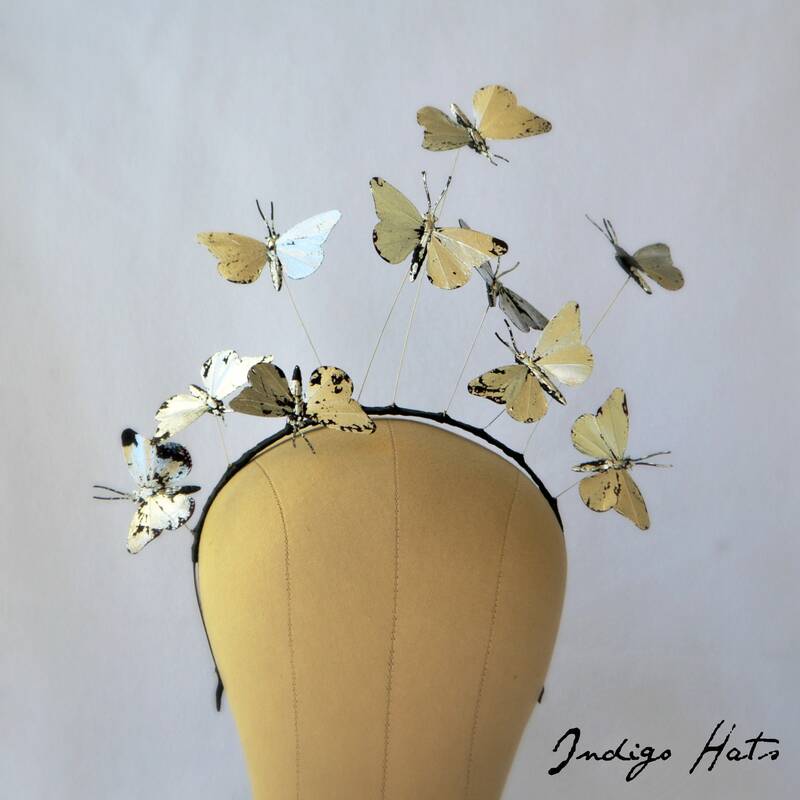 I have another listing for one in gold - and I have seen sheets of copper leaf too which I think would look amazing, let me know if you would prefer that. Also, I paint the butterflies first so could also do green underneath copper for a verdigris look or red under gold would be really great too. Price is the same for different color schemes. 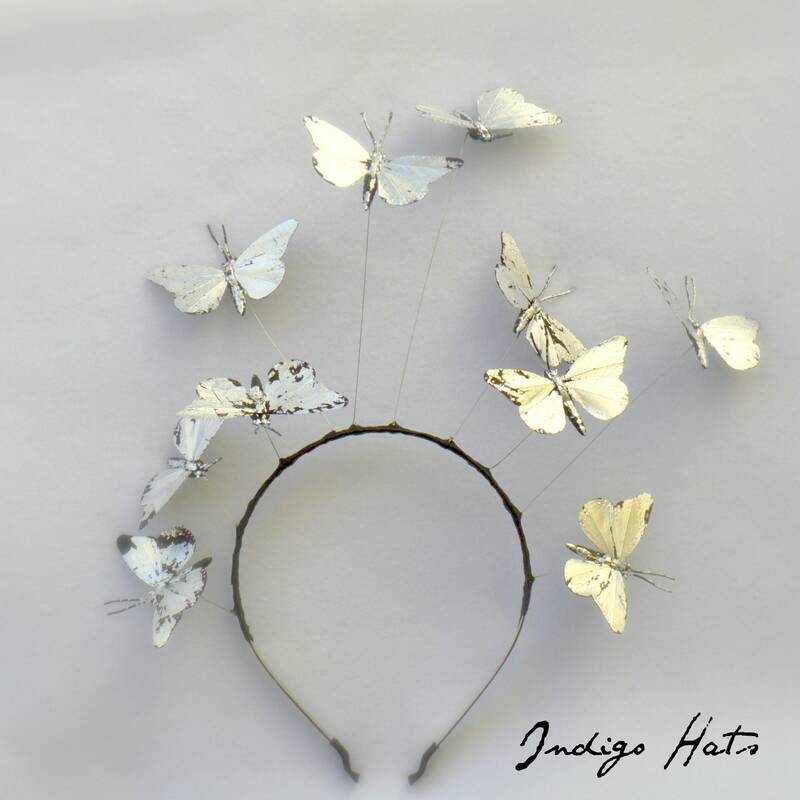 Its all set on a comfortable metal headband covered in a grosgrain ribbon. be yourself - be unique! As this is handmade it may vary a little from the photograph, this makes it unique - just like you! Love this piece....a show stopper!